Looking for floral Birthday party inspiration? Here’s an 80th Birthday cracker! 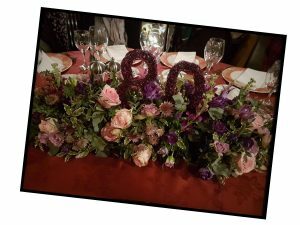 You may remember.. back in October I wrote a Blog about mood boards and right at the very end mentioned a very special lady’s 80th Birthday. Well now Christmas has been and gone, I’ve finally found a moment to tell you all about it. Pat turned 80 at the beginning of December and had a weekend celebrating with her wonderful family. 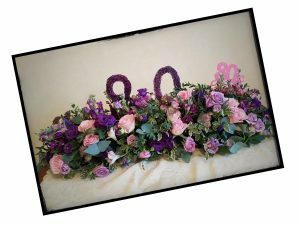 I was asked by her daughter and granddaughter to design a table centrepiece for her birthday dinner. 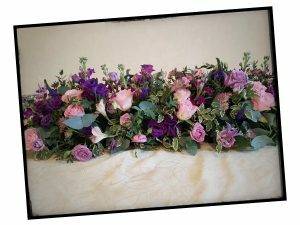 The requirements were quite straightforward – it had to be 3ft in length, contain pink and purple flowers and most importantly travel from London to Yorkshire successfully. The mood board I showed you before, helped me to formulate my ideas. 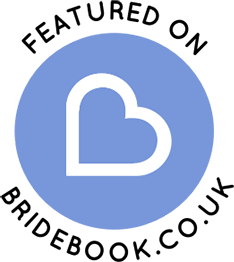 I decided the best way to get the design safely through its long car journey, would be to make it in 3 segments that could be slotted together on arrival. I also really wanted to make something for Pat to keep as a memento of her special day. I have used reel and bullion wire to make bags before, but I wondered if I could make numbers. I twisted the pink and purple wire together and eventually the shape of an 80 materialised. It was not a quick process, but I was so pleased with the end result. 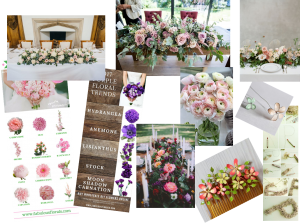 I used so many of my favourite flowers in this design.. gorgeous pink Roses, a deep purple Lisianthus, stunning Astrantia and a beautiful lilac Clematis to name but a few. It was an absolute honour to play a small part in such a wonderful lady’s special day.